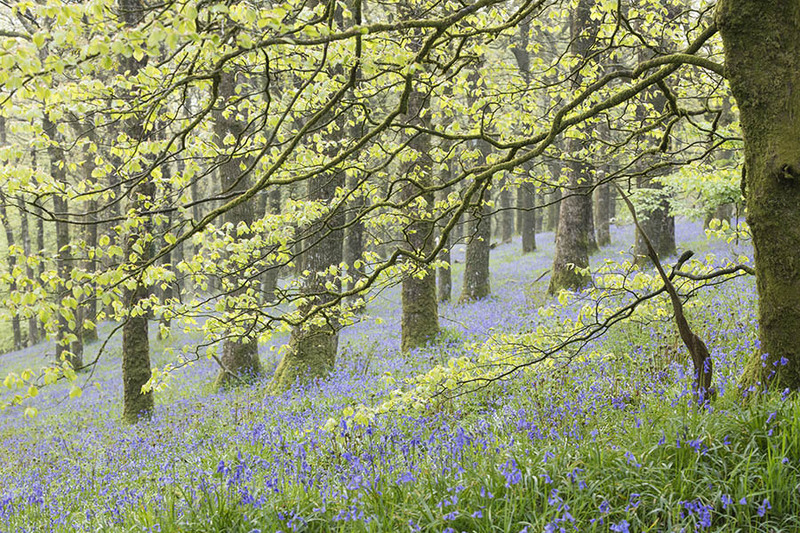 A carpet of Bluebells covers the ground beneath a canopy of fresh green leaves on the Beech and Oak trees as spring arrives in Burrow Wood, in Exmoor National Park. Winsford Hill. Somerset.